/ Struggling with the ITTOs for your PMP exam? When you read the PMBOK for the first time, you might have been intimidated by all the process charts you saw. However, when you understand the story these charts are trying to tell, they become surprisingly simple to read. The ITTOs (short for Inputs, Tools and Techniques, Outputs) describe how to accomplish a process within a project. The processes, once complete, completes the project. You can think of the ITTOs as small building blocks on your journey to project completion. There are more than 300 ITTOs in the 49 processes, and remembering all of them might drive you insane. With its sheer volume, no amount of memory aids or acronyms can help you remember them all. The good news is that you do not need to memorize all of them. The PMP exam is not meant to be a memorization exam. What you do need to know is what each of the ITTO does and when to use it. Rather than trying to memorize everything, try understanding them and think about why PMI put them there in the first place. When you adopt this mindset, you will be able to naturally remember what they are. We are used to reading stories in words, but PMI tells stories with charts. 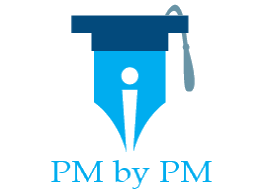 You need to learn PMI’s “language” if you want to pass the PMP. Let’s use an analogy to illustrate how to read PMI’s ITTO process charts. Let’s say you are baking a cake. The flour, eggs, and milk are your inputs (this is a very simple cake!). You need to transform these inputs into the output, which is your cake. You do so by using a series of tools and techniques such as mixing, sifting, and whisking. In a similar fashion, the ITTO chart is simple telling you how to complete the process in a picture rather than in words. For example, the Develop Project Charter process below is telling you that you need use the project statement of work, business cases, and agreements to complete the project charter. You create the project charter with the help of experts on your project, and you need to facilitate these meetings to make sure they run smoothly. When you understand what the goal of the process, you will be able to remember the ITTOs for that process much faster. Fortunately, the names of the processes usually tell you what they are trying to accomplish. The Manage Project Team process manages the project team, for example. You need do is think about what you would need to manage your project team, and the inputs (e.g. project staff assignments, performance reports, etc.) will come to you naturally. The last tip to help you understand the ITTOs of a process that comes before and after the process in question. It may allow you to look at the process in the context of the project and give you more perspective. For more information about ITTOs, check out the resources below. Thank you for the tip on ITTO. Please do you have the ITTO listed out like the example shown in the email? If yes, could you please send it to my email. Thank you as i await your response. Hi Eman, Just look at the “Resources” section of the article. Hopefully you will find what you are looking for.